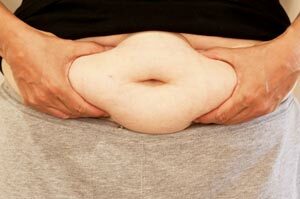 Stress, especially chronic stress, can make you fat! With today's fast paced society, there's no shortage of stress - stress from work, stress at home, financial stress, you name it... What many research studies have found is a direct link between stress and chronic stress with weight gain and visceral obesity. In short, stress can make you fat. Stress is a state of disharmony caused by internal or external forces that threatens your state of homeostasis. This stress is counteracted by a series of physiological and behavioral responses that aim to re-establish homeostasis within your body. Chronic stress is a prolonged threat to homeostasis by frequent and constant stressors that could lead to a wide range of diseases and metabolic syndromes. In a study done by Kyrou et al., they stated that obesity and metabolic syndrome often correlates with indices of stress. Stress contributes to the accumulation of fat tissue, and that obesity in itself can constitute as a form of chronic stressor. Getting stressed out can cause you to gain body fat, and being overweight can become a chronic stressor that leads to even more stress. The researchers also stated that "chronic stress is associated to derangement of metabolic homeostasis that contributes to the clinical presentation of visceral obesity, type 2 diabetes, atherosclerosis and metabolic syndrome... Notably, indices of stress in the modern western societies correlate with the increasing incidence of both obesity and the metabolic syndrome which have reached epidemic proportions over the past decades." It has also been suggested that visceral obesity could possibly be a physiological adaptation to stress; therefore, focusing on stress management and stress reduction could be effective methods at weight management to get rid of belly fat, and bring a stop to the vicious cycle of stress causing belly fat gain and obesity leading to more stress. What makes matters worse is that studies have found a link between stress and stress induced behavior of consuming caloric dense foods. Another study from University of California (dept. of psychiatry) performed research on psychological stress and eating patterns based on a model of "reward based stress eating." Their study focused on the role of cortisol on motivating intake of caloric dense foods. They stated that stress and food can stimulate release of opiod in the body (a chemical substance with morphine like action ie. pain relief), which appears to be a powerful defense mechanism protecting the individual from detrimental effects of stress. Because of this strong link between stress and body fat, there are various diet pills that are marketed to help reduce stress and help aid weight loss. Weight loss supplements such as cortislim and relacore have been promoted as "belly fat" pills. With stress and chronic stress being strongly linked to gaining body fat and belly fat, the first steps to take to get rid of your stubborn belly fat is to effectively manage your stress and reduce your stress levels. Consider some of these tips to reduce stress and help get rid of stubborn belly fat. It's not easy to live a stress free life, it's probably near impossible. But once you learn how to deal with the stress you experience, you can minimize their negative effect on you and avoid gaining body fat, and perhaps even help to get rid of stubborn belly fat. But always keep in mind that stress is only one of the many factors affecting weight gain and fat loss. Aside from reducing stress, you still need a healthy diet, and exercise regularly to get rid of belly fat. 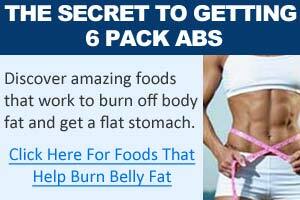 The following sections will cover the topics of diets for getting rid of belly fat and also belly fat exercises. 1. Ann N Y Acad Sci. 2006 Nov;1083:77-110. Stress, visceral obesity, and metabolic complications. Kyrou I, Chrousos GP, Tsigos C.
Endocrinology, Metabolism and Diabetes Unit, Evgenidion Hospital, Athens University Medical School, Athens, 115 28, Greece. 2. Horm Metab Res. 2007 Jun;39(6):430-8. Stress mechanisms and metabolic complications.Kyrou I, Tsigos C. Endocrinology, Metabolism and Diabetes Unit, Evgenidion Hospital, Athens University Medical School, Athens, Greece. 3. Panminerva Med. 2003 Sep;45(3):189-95. Is visceral obesity a physiological adaptation to stress? Drapeau V, Therrien F, Richard D, Tremblay A. Division of Kinesiology, Laval University, Ste-Foy, Québec, Canada. 4. Physiol Behav. 2007 Jul 24;91(4):449-58. Epub 2007 Apr 14. Stress, eating and the reward system. University of California, San Francisco, Department of Psychiatry, United States.